Betty Marko is a Professional Assistant Professor in Early Childhood Education and Early Childhood Intervention Specialist Education at Walsh University. She holds a B.S.Ed from Baldwin-Wallace College and M.S.Ed. and Ed.S. from Kent State University. Her doctoral work was at Case Western Reserve University in Early Language Development (A.B.D.). 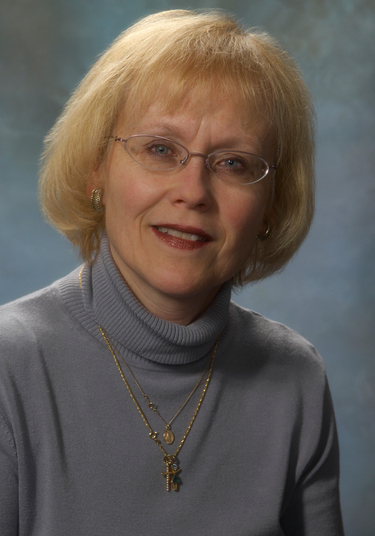 Betty joined the Walsh faculty in 2006. Prior to that, Professor Marko served for over 30 years in teaching roles including: preschool, kindergarten, first grade, and early childhood intervention specialist. Professor Marko teaches courses in both Early Childhood Education and Early Childhood Intervention Specialist Education. Her courses include: ECE 313 (Early Childhood Language Arts and Social Studies Methods), ECE 315 (Early Childhood Math and Science Methods), and ISE 341 (Early Childhood Assessment and Planning). She has previously taught Educational Psychology (ECE 213, AYA 233, MCE2 23, and EDUC 263), ECE 211 (Early Childhood Assessment Growth and Development), and EDUC 255 (Cognitive and Language Development). She advises students in Early Childhood, Early Childhood Intervention Specialist, and is the Coordinator of the Walsh-Stark State 2+2 Program. Professor Marko's research involves juvenile bipolar disorder, autism spectrum disorder, and Universal Design for Learning (UDL). She has publications/presentations at state conferences. She attended the NCATE Institutional Orientation Conference in Spring 2008. She also serves on various campus committes including the Teacher Prep Developmental Portfolio Essay Committee and the NCATE Standards 1 and 2 Team. She is an active member of the following professional organizations: National Association for the Education of Young Children (NAEYC), the Council for Exceptional Children (CEC), and the Association for Supervision and Curriculum Development (ASCD). Professor Marko believes that collaborative partnerships and service experience for students are imperative. She has developed Collaborative Partnerships with Northwood Elementary in North Canton, Dueber Kids Club in Canton, and Gorrell Elementary School in Massillon. She is the Co-Advisor of the Education Club and the STARS program. Activities for the Education Club include the following service projects: Campus Trick-or-Treat, Easter Egg Hunt, and the Hispanic Make-It/Take-It Workshop. Professor Marko is a parent volunteer at Green Local Schools and a PSR instructor at Queen of Heaven Parish in Green. April 2010, "Partners in Practice - how a 'lab school' can provide best practice strategies and supports for pre-clinical and clinical teacher candidates" Ohio Confederation of Teacher Education Organizations (octeo) - Columbus, OH. February 2010, "Partners in Practice - how a 'lab school' can provide best practice strategies and supports for pre-clinical and clinical teacher candidates" Association of Independent Liberal Arts Colleges (AILACTE) Annual Conference, Atlanta, GA.
February 2010, "Teaching What We Preach: A co-teaching course with structured field activities that follow a collaborative partnership model for future educators"Association of Independent Liberal Arts Colleges (AILACTE) Annual Conference, Atlanta, GA.
August 2009, "Positive, Productive, Playful...Best practice assessment strategies in a preschool setting" - In-Service Presentation to the Diocese of Youngstown, Preschool Faculty, Canfield, OH.